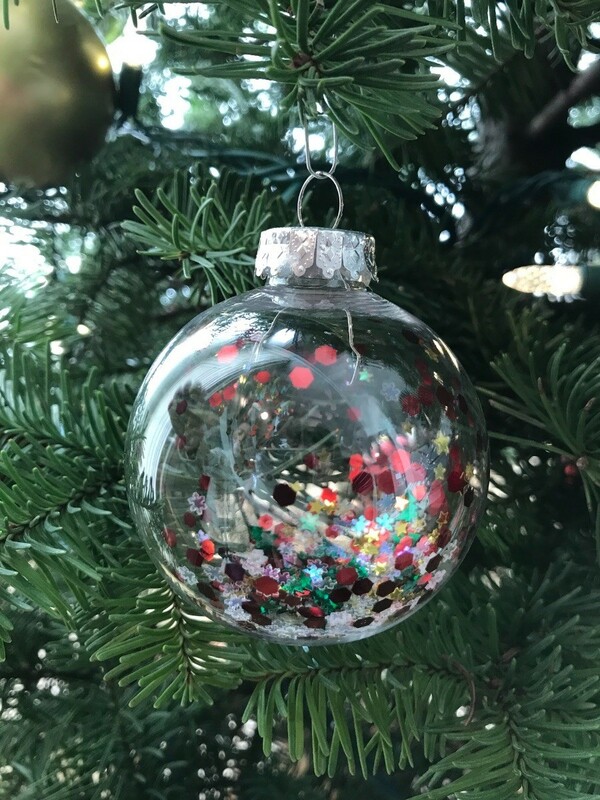 A fun project for the whole family can center around filling clear ornaments with a variety of holiday themed inclusions and other tidbits. Try shells, confetti, pom poms, miniature trees, and more. 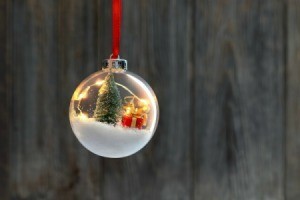 This is a guide about filling clear Christmas ornaments. I used vintage buttons, glitter, salt, feathers, ribbons and even popped popcorn popped to fill plastic ornaments. The ornament top is sealed with hot glue. The ornament is decorated with scraps of fabric, bows, ribbons, and stickers of doves, small Christmas ornaments, etc. 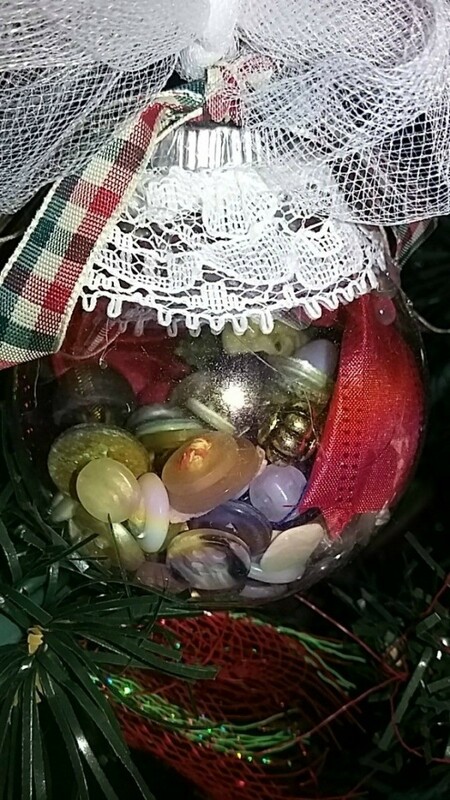 I make my children an ornament with some of their small childhood pictures, or other childhood memory items that they could hang on their tree within the plastic ornament. It is very enjoyable to look for items that could be put into a plastic ornament that would make one happy at the Christmas season when it is put upon the Christmas tree. Create an idea for the ornament. 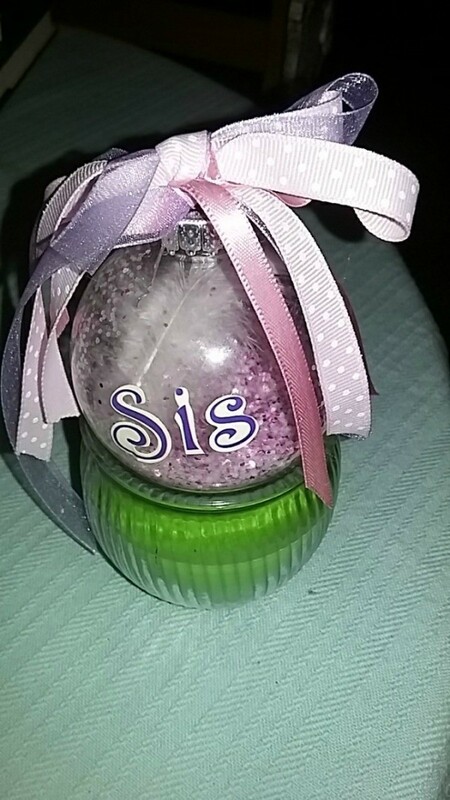 Using hot glue gun, glue accessories onto filled ornament, seal top. Add ribbon to add color, allow hot glue to harden. Attach ornament holder and hang on Christmas tree. Put a thin layer of popcorn kernels inside the ornament. Place in your microwave at 50% power. Microwave for 30 seconds at a time until the popcorn is popped. It will be hot so use an oven mitt to remove it from the microwave. Allow it to cool and then seal the top with hot glue and decorate accordingly. Note: The popcorn ornament should be stored in the freezer after the Christmas season is over to prevent mold from setting in the ornament. I usually wrap the ornament either in tissue paper or put it in a ziplock bag and store in my freezer. 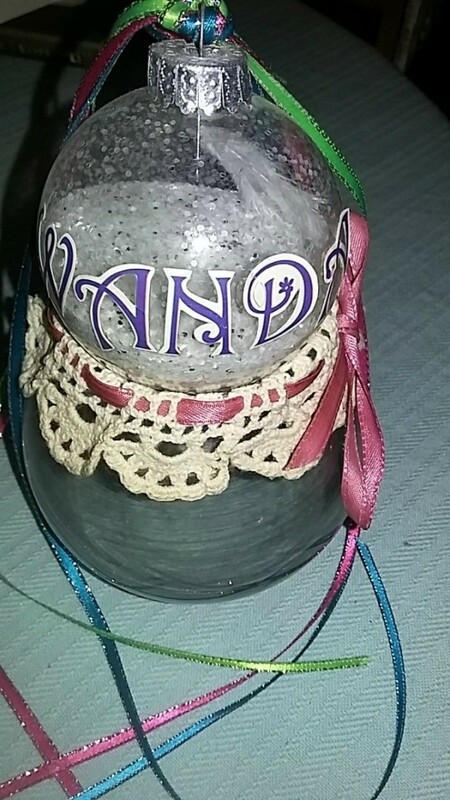 Enjoy making an ornament, especially if it has special meaning to you. For example if it is filled with items from your family or a memory and it will become a treasure to you. I put my husbands and mine graduation tassels in a clear ornament to hang on our tree. These are so easy to make and look so elegant. All you do is remove the lid from each ball ornament and fill each ornament about 1/2 way to 1/3 way with the artificial snow. You can either use a funnel to get the snow in the ball, or you can angle cut the end of a straw to use as a little scoop for picking up the snow and then putting down into the mouth of the ornament to get the snow easily inside. (I found this easier than the funnel as the funnel gets a bit clogged). Once you have your snow inside the ornament, put the silver cover back on (I use hot glue to seal mine so they don't ever slip off). Adhere your sticker on the outside of the ornament. These are so pretty, they look so fancy and you can really make a bunch of them at a very low cost. I live at the beach and constantly pick up interesting shells and rocks. I have been wanting to use them in an interesting craft and decided I would start looking for very tiny shells and very tiny rocks. I am seeing clear ornaments as a popular trend this year. Many stores are selling these Christmas confetti ornaments for $5-10 each. You can totally make some yourself. 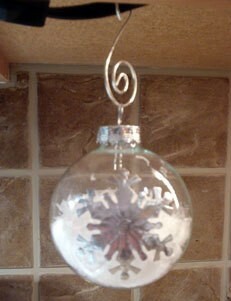 Here is a new ornament to add to your collection of homemade ornaments. 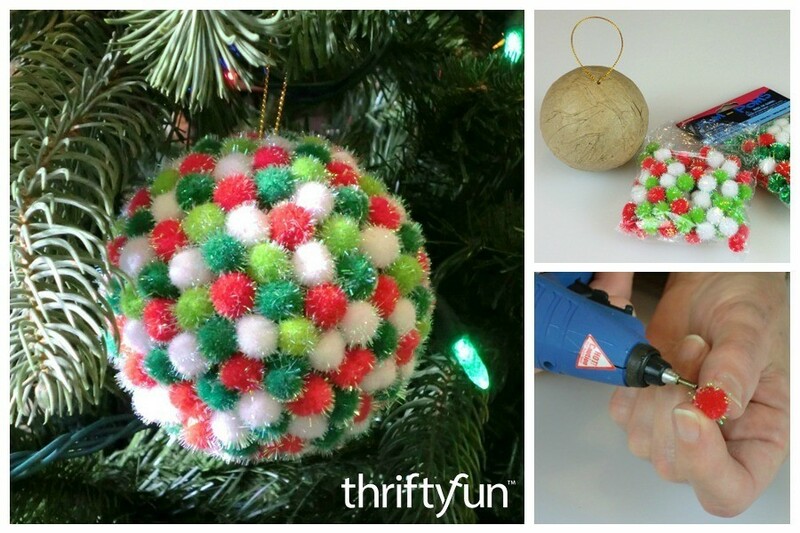 This is a guide about pom pom Christmas tree ornaments.